This is an official Galaxy Nexus VERIZON CM13 (CyanogenMod 13 NIGHTLY) Marshmallow Custom ROM . If you are looking for the Galaxy Nexus GSM (codename: maguro) custom ROMs then here is the Galaxy Nexus CyanogenMod 12. Also if you are interested on Android M then here is the AOSP Marshmallow ROM for the Galaxy Nexus or if you are looking for Sprint then here is the Galaxy Nexus Sprint CyanogenMod 13. Installing custom ROM requires a custom recovery on the Galaxy Nexus VERIZON phone, which may VOID your warranty and may delete all your data. Before proceeding further you may consider backing up your all data. Understand that YOU are the only person making changes to your phone. Neither we nor the developer can be held responsible for the disaster that may happen to your device after following this guide. If you wanna taste Nougat then here is the Nougat ROM for Galaxy Nexus. RECOVERY: Installing custom recovery for Galaxy Nexus VERIZON phone. Install the TWRP recovery on the Galaxy Nexus VERIZON (toro). (Bootloader has to be unlocked before flashing a recovery). Here is a simple guide for Bootloader unlock and TWRP recovery installation on a Galaxy Nexus VERIZON phone. – If you have the bootloader unlocked but you don’t have a recovery then download it from the above link and follow the below guide to flash: How to Install TWRP on Android using Fastboot. 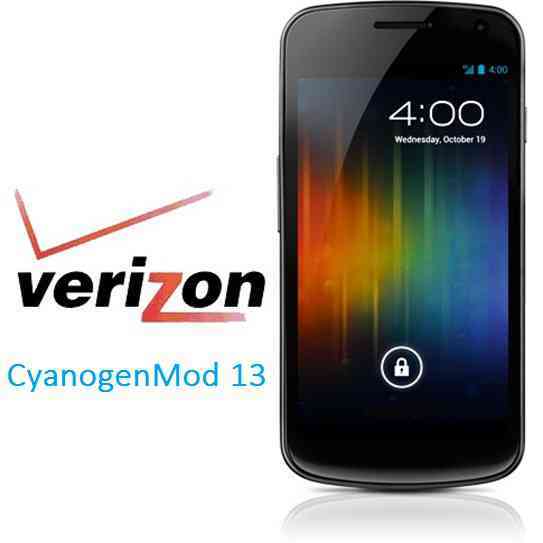 Then download and Copy the GApps and CyanogenMod 13 ROM ZIP to the Galaxy Nexus VERIZON (codename: toro) phone. Reboot and Enjoy the CyanogenMod 13 Marshmallow ROM on your Galaxy Nexus VERIZON (toro). Copy the CyanogenMod 13 ROM ZIP file to the phone. The first boot may take long time, so don’t panic and be sure that you have enough battery backup. Let the phone reboot and then enjoy the official CyanogenMod 13 Marshmallow ROM on Galaxy Nexus VERIZON (toro). That’s all my friend. As this is an official NIGHTLY build and you will be getting periodic updates from CyanogenMod. To know more on various official CyanogenMod releases here is a link that explains the difference between CyanogenMod NIGHTLY, SNAPSHOT and STABLE builds. Stay tuned or Subscribe to the galaxy Nexus forum for GSM, Sprint and Verizon For upcoming Android Nougat ROMs, CyanogenMod Custom ROMs, other ROMs and all other device specific topics.